Digital Therapeutics: Where are we and how far can we go? Over the years, the biopharmaceutical market has grown into a prominent and promising segment of the overall pharmaceutical industry. Characterized by a number of blockbuster therapies (Humira, Rituxan, Lantus, Avastin, Herceptin and Remicade ) and a robust pipeline of product / therapy candidates, the market is poised for significant growth in the coming years. It is worth mentioning that much of the anticipated success of the biopharmaceutical market is dependent on new biologics currently under development and biosimilars. The impending growth also indicates the rising importance of manufacturing capacity within the industry. The costs associated with acquiring manufacturing capabilities are exorbitant and, therefore, it is difficult for companies with limited finances and capacity constraints to succeed by themselves. These constraints have led many of the smaller players in the industry and, at times, certain pharma giants as well, to outsource a significant part of their business operations to contract service providers. Contract manufacturing organizations (CMOs) and contract development and manufacturing organizations (CDMOs) are known to offer significant cost-benefits, access to larger production capacities and reductions in time-to-market. Owing to the growing number of start-ups that are engaged in R&D of novel biologics, there is significant opportunity for the CMOs in this domain. It is worth highlighting that, since 2000, more than115 new CMOs have been established in order to cater to the growing demand for novel biologics that have specific manufacturing requirements. The contemporary contract services market features a mix of large and small-sized CMOs and is characterized by multiple mergers and acquisitions as stakeholders strive to broaden their respective service portfolios. This has enabled several CMOs to offer end-to-end services, ranging from drug development, including preliminary R&D, preclinical and clinical trials, to commercial scale production and regulatory filings. Despite the fact that the biopharmaceutical sector is amongst the most highly regulated industries, we expect the demand for core competencies to continue to drive sponsor companies to outsource various parts of their product development and manufacturing operations. Amidst tough competition, the availability of advanced tools and technologies is an important differentiating factor and is likely to grant a competitive edge to certain CMOs over other stakeholders. 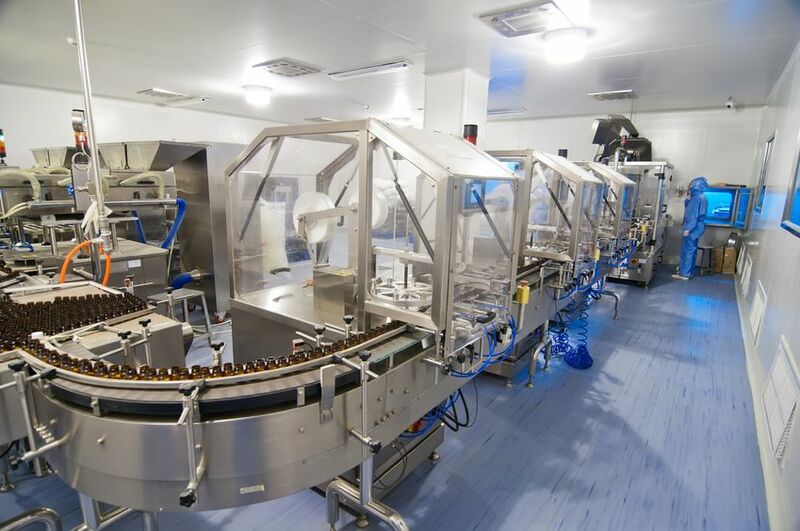 Scope of the Report The “Biopharmaceutical Contract Manufacturing Market (3rd edition), 2019 – 2030” report features an extensive study on the contract service providers within the biopharmaceutical industry. The study features in-depth analysis, highlighting the capabilities of a diverse set of biopharmaceutical CMOs and CDMOs. Amongst other elements, the report includes: A detailed review of the overall landscape of the biopharmaceutical contract manufacturing market, featuring a comprehensive list of active CMOs and detailed analysis of the manufacturing service providers based on a number of parameters, such as scale of operation (preclinical, clinical and commercial), type of biologics manufactured (peptides / proteins, antibodies, vaccines, cell therapies, gene therapies, antibody drug conjugates, vectors, biosimilars, nucleic acids and others), type of expression systems used (mammalian, microbial and others), year of establishment, employee size, geographical location of the CMO, number of manufacturing facilities, as well as the location of these facilities, GMP compliance, affiliations to regulatory agencies, type of bioreactors used (single-use bioreactors and stainless steel bioreactors), mode of operation of bioreactors (batch, fed-batch and perfusion) and bioprocessing capacity. Elaborate profiles of key players that have a diverse range of capabilities for the development, manufacturing and packaging of biologics. Each profile provides an overview of the company, its financial performance (if available), information related to its service portfolio, manufacturing facilities, and details on partnerships, recent developments (expansions), as well as a comprehensive future outlook. A detailed discussion on the key enablers in this domain, including certain niche product classes, such as antibody drug conjugates (ADCs), bispecific antibodies, cell therapies, gene therapies and viral vectors, which are likely to have a significant impact on the growth of the contract services market. A case study on the growing global biosimilars market, highlighting the opportunities for biopharmaceutical CMOs and CDMOs. A case study comparing the key characteristics of large molecule and small molecule drugs, along with details on the various steps involved in their respective manufacturing processes. A discussion on challenges related to in-house manufacturing, featuring a brief overview of the various parameters that a drug / therapy developer may need to take into consideration while deciding whether to manufacture its products in-house or outsource. An analysis of the recent collaborations (signed since 2013) focused on the contract manufacturing of biologics; the analysis is based on various parameters, such as the year in which the agreement was signed, type of agreement, focus area and type of biologics. A detailed analysis of the various mergers and acquisitions that have taken place in this domain, highlighting the trend in the number of companies acquired between 2013-2018, along with the geographical distribution of this activity. The analysis also depicts the relationship between important deal multiples based on the revenue, number of employees and experience of the acquired company. An analysis on the recent trends within biopharmaceutical contract manufacturing industry, highlighting various facility and capability expansions. In addition, it provides information on the technology advancements related to biomanufacturing. A detailed capacity analysis, taking into consideration the individual development and manufacturing capacities of various stakeholders (small-sized, mid-sized, large and very large CMOs / CDMOs) in the market, using data from both secondary and primary research. The study examines the distribution of global biopharmaceutical manufacturing capacity by scale of operation (preclinical / clinical, commercial), size of company (small-sized, mid-sized, large and very large), and geography (North America (the US and Canada), Europe (Italy, Germany, France, Spain, the UK and rest of Europe), Asia and Middle East (China, India, Japan, South Korea and rest of the Asia and Middle East), and rest of the world (including Australia). An informed estimate of the annual demand for biologics, taking into account the top 20 biologics, based on a various relevant parameters, such as target patient population, dosing frequency and dose strength of the abovementioned products. A discussion on affiliated trends, key drivers and challenges, under a comprehensive SWOT framework, which are likely to impact the industry’s evolution, including a Harvey ball analysis, highlighting the relative effect of each SWOT parameter on the overall pharmaceutical industry. A survey analysis featuring inputs solicited from various experts who are directly / indirectly involved in providing CMO services to medical device developers. One of the key objectives of the report was to understand the primary growth drivers and estimate the future size of the market. Based on parameters, such as growth of the overall biopharmaceutical market, cost of goods sold, and direct manufacturing costs, we have provided an informed estimate of the likely evolution of the market in the short to mid-term and mid to long term, for the period 2019-2030. In order to provide a detailed future outlook, our projections have been segmented on the basis of [A] commonly outsourced business operations (active pharmaceutical ingredients (APIs) and finished dosage formulations (FDFs)), [B] types of expression systems (mammalian, microbial and others), [C] size of the company (small-sized, mid-sized and large / very large), [D] scale of operation (preclinical, clinical and commercial) and [E] key geographical regions (North America (US, Canada), Europe (UK, France, Germany, Italy and Spain), Asia (China and India) and rest of the world (Australia)). To account for the uncertainties associated with the manufacturing of biopharmaceuticals and to add robustness to our model, we have provided three forecast scenarios, portraying the conservative, base and optimistic tracks of the market’s evolution. The opinions and insights presented in the report were influenced by discussions held with senior stakeholders in the industry. The report features detailed transcripts of interviews held with the following industry stakeholders: Astrid Brammer, Senior Manager Business Development, Richter-Helm Birgit Schwab, Senior Manager Strategic Marketing, Rentschler Biotechnologie Christian Bailly, Director of CDMO, Pierre Fabre Claire Otjes, Assistant Marketing Manager, Batavia Biosciences David C Cunningham, Director Corporate Development, Goodwin Biotechnology Dietmar Katinger, Chief Executive Officer, Polymun Scientific Denis Angioletti, Chief Commercial Officer, Cerbios-Pharma Jeffrey Hung, Chief Commercial Officer, Vigene Biosciences Kevin Daley, Director Pharmaceuticals, Novasep Mark Wright, Site Head, Grangemouth, Piramal Healthcare Nicolas Grandchamp, R&D Leader, GEG Tech Raquel Fortunato, Chief Executive Officer, GenIbet Biopharmaceuticals Sebastian Schuck, Head of Business Development, Wacker Biotech Stephen Taylor, Senior Vice President Commercial, FUJIFILM Diosynth Biotechnologies Tatjana Buchholz, Marketing Manager, PlasmidFactory and Marco Schmeer, Project Manager, PlasmidFactory Tim Oldham, Chief Executive Officer, Cell Therapies All actual figures have been sourced and analyzed from publicly available information forums and primary research discussions. Financial figures mentioned in this report are in USD, unless otherwise specified. Chronic disorders, such as diabetes, cancer, heart disease, obesity, and certain types of mental health problems, are considered among the leading causes of death and disability across the globe. According to a report published by the Center for Managing Chronic Disease at the University of Michigan in 2018, more than 50% of the global population lives with some form of chronic illness. In 2018, the global prevalence of diabetes (considered to be one of the fastest-growing clinical conditions) was estimated to be around 425 million; likewise, around 450 million people worldwide are suffering from some form of mental health problem and / or neurological disorder. In addition, the World Health Organization (WHO) reported that different forms of cancers account for about 0.6 million deaths annually in the US alone. 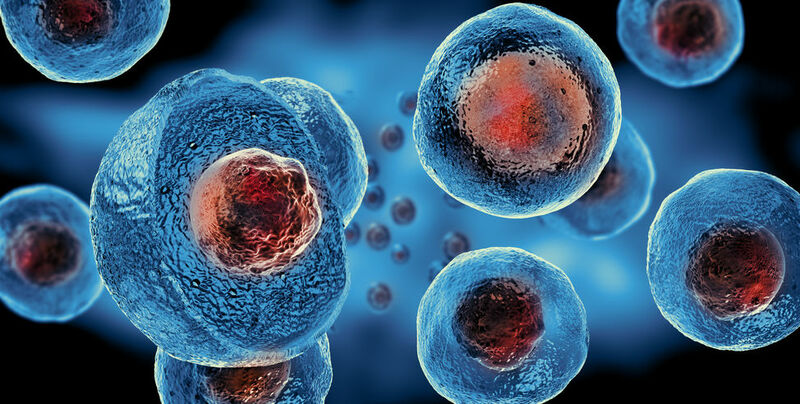 Over the years, advances in cell biology and regenerative medicine have led to the development of various cell-based therapies, which claim to possess the potential to address several unmet needs related to the treatment of different chronic clinical conditions. However, there are certain evident challenges, such as scarcity of viable donors, inherent immunogenicity, complications related to supply of oxygen / essential nutrients to grafted cells, drug delivery limitations, and the need for frequent re-administration of cells, which have so far restricted the use of cell-based interventions. Extensive research on cell encapsulation strategies have enabled the development of a variety of technologies capable of confining therapeutic entities within biocompatible matrices / carriers. Encapsulated therapy products offer a myriad of advantages, and have been shown to be capable of addressing existing concerns related to cell sourcing, obviating the need for complex surgical procedures, and enabling targeted drug delivery without the need for immunosuppressive follow-on regimens. In fact, since 2013, over 3,000 patents have been published related to the aforementioned type of therapy, indicating the rapid pace of R&D activities in this domain. Stakeholders have also received significant support from both private and public investors. However, the commercial success of such products is still dependent on ongoing clinical studies, as no such therapy has yet been approved. 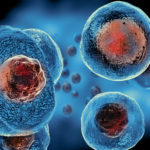 Scope of the Report The ‘Cell Encapsulation: Focus on Therapeutics and Technologies, 2019-2030’ report features an extensive study of the current market landscape and the future potential of encapsulated cell therapies and affiliated technologies. It is worth mentioning that the study also provides insights on therapy products wherein other active drug substances have been encapsulated within living cells. Amongst other elements, the report features: A detailed assessment of the current market landscape of encapsulated cell therapies and affiliated technologies, highlighting various target disease indications, phase of development, encapsulation method, type of cells / API, and route of administration, along with information on various stakeholder companies that are developing novel encapsulation methods / techniques for use in storage and transportation of cells, as well as other applications. Comprehensive profiles of industry players that are currently engaged in the preclinical / clinical development of their proprietary encapsulated cell therapies, featuring an overview of the company, its financial information (if available), and a detailed description of its product(s), highlighting mechanism of action, current development status, and key preclinical / clinical trial results. Each profile also includes a list of recent developments, highlighting the key milestones achieved, partnership activity, and the likely strategies that may be adopted by these players to fuel growth in the in the foreseen future. An in-depth analysis of the patents that have been published related to cell encapsulation technologies, since 2013. The analysis also highlights the key trends associated with these patents, across patent type, regional applicability, CPC classification, emerging focus areas, leading industry players (in terms of number of patents filed / granted), and current intellectual property-related benchmarks and valuation. A comprehensive clinical trial analysis of completed, ongoing and planned studies of various encapsulated cell therapies. 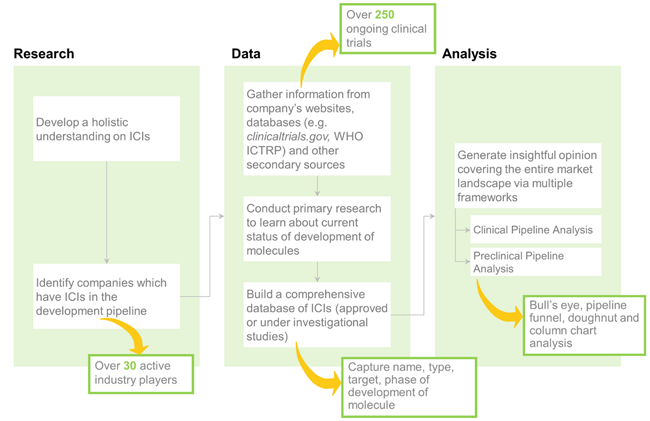 The analysis highlights the key trends associated with these clinical studies across various parameters, such as trial start year, trial status, phase of development, leading industry and non-industry players (in terms of number of trials conducted), study design, target therapeutic area, key indications, study focus, clinical endpoints, and enrolled patient population and regional distribution of trials. An analysis of the partnerships that have been established in the domain in the period 2013-2018, covering R&D collaborations, licensing agreements, mergers and acquisitions, product development and / or commercialization agreements, manufacturing agreements, clinical trial agreements, process development agreements, and other relevant deals. An analysis of the investments made at various stages of development, such as seed financing, venture capital financing, debt financing, grants, capital raised from IPOs and subsequent offerings received by companies that are focused in this area. The report also features a detailed study on the various grants that have been awarded to research institutes in this field. An analysis highlighting potential strategic partners (for instance, manufacturers) for encapsulated therapy developers based on multiple parameters, such as therapeutic focus, type of cell, preclinical and clinical product portfolio, existing collaborations, and developer strength One of the key objectives of the report was to understand the primary growth drivers and estimate the future size of the market. Based on likely licensing deal structures and agreements that are expected to be signed in the foreseen future, we have provided an informed estimate on the likely evolution of the market for the period 2019-2030. In addition, we have provided information on (potential) sales-based revenues generated by encapsulated cell therapies that are currently in late stages of development for the treatment of different chronic disorders, based on parameters, such as target consumer segments, likely adoption rates and expected pricing. The report features likely distribution of the current and forecasted opportunity across [A] different therapeutic areas (metabolic and non-metabolic), [B] target disease indications (ataxia telangiectasia, breast cancer, diabetes, glaucoma, head and neck cancer, macular telangectasia, pancreatic cancer, Parkinson's disease, and retinitis pigmentosa), [C] type of encapsulation material used (alginate-based microcapsules, cellulose hydrogels, medical-grade plastics, and red blood cells), and [D] key geographical regions (North America, Europe and Asia Pacific). To account for the uncertainties associated with the development of novel therapy products and to add robustness to our model, we have provided three forecast scenarios, portraying the conservative, base and optimistic tracks of the market’s evolution. The opinions and insights presented in this study were influenced by discussions conducted with several stakeholders in this domain. The report features detailed transcripts of interviews held with the following individuals: Alexander Scheer (Chief Scientific Officer, Erytech Pharma) Manuel Pires (Junior Business Developer, Defymed) Michel Revel (Chief Scientist, Kadimastem) and Galit Mazooz-Perlmuter (Business Development Manager, Kadimastem) Mick McLean (Chief Executive Officer, Atelerix) Quinton Oswald (Former President and Chief Executive Officer, Neurotech Pharmaceuticals) William L Rust (Founder and Chief Executive Officer, Seraxis) Yuval Avni (Chief Executive Officer, Beta-O2 Technologies) All actual figures have been sourced and analyzed from publicly available information forums and primary research discussions. Financial figures mentioned in this report are in USD, unless otherwise specified. According to a study conducted by the International Osteoporosis Foundation (IOF), more than 200 million individuals around the world suffer from osteoporosis. In fact, a total of 8.9 million fractures per year are attributed to osteoporosis, implying that an osteoporotic fracture (of the hip, knee, spine, shoulder, or wrist) occurs after every three seconds. The annual socioeconomic burden associated with this condition is estimated to be around USD 19 billion and EUR 37 billion, in the US and Europe, respectively. Further estimates suggest that, by 2030, nearly 3.5 million knee replacements and 572,000 hip replacements are likely to be performed every year in the US alone. A recent United Nations’ study projected the global elderly population (aged 60 years and above) to rise to 1.3 billion by 2030; given the susceptibility of this population segment to developing osteoporosis, the global burden related to this particular disease is anticipated to increase significantly in the foreseen future. Over time, bone cement delivery systems have become widely popular in diverse types of orthopedic surgeries / procedures. There are many benefits of using such devices, including ease-of-use, targeted and controlled delivery of bone cements, integrated safety mechanisms, and an almost negligible risk of injury to patients. Companies involved in the development / manufacturing of bone cement delivery systems have also captured the interest of several stakeholders / bone cement developers that are looking for novel ways to deliver various types of bone cements to target sites during surgical procedures. In fact, since 2010, over 6,000 patents have been published in this domain, indicating the rapid pace at which research is being carried out. It is anticipated that such efforts are likely to boost the overall growth of this market in the coming years. Scope of the Report The ‘Bone Cement Delivery Systems Market, 2019-2030’ report features an extensive study of the current landscape and the likely future evolution of such systems in the next twelve years. The study features an in-depth analysis, highlighting the capabilities of various stakeholders engaged in this domain, across different global regions. Amongst other elements, the report includes: A detailed assessment of the current landscape of bone cement delivery systems market, highlighting the contributions of industry players engaged in this domain, along with key system specifications. It features information on the type of surgical procedures (arthroplasty, kyphoplasty and vertebroplasty), compatibility with different types of bone cements (polymethyl methacrylate, calcium phosphate and others), viscosity of bone cements delivered (high, medium and low), system functionality (delivery and mixing), approval date of various products, and maximum capacity. An elaborate discussion on the various guidelines established by major regulatory bodies for medical device approval, including bone cement delivery systems, across different countries. It also includes an insightful multi-dimensional heat map analysis, featuring a review of the contemporary regulatory scenario in key geographies across the globe. Elaborate profiles of large companies offering bone cement delivery systems (shortlisted on the basis of the number of systems), featuring an overview of the company, its financial information (if available), detailed descriptions of their bone cement delivery systems, and a comprehensive future outlook. In addition, the chapter features tabulated profiles of small-sized and mid-sized bone cement delivery system providers (shortlisted on the basis of number of systems), featuring details on company headquarters, year of establishment, number of employees, executive team, recent developments, along with detailed descriptions of their proprietary bone cement delivery systems. A detailed analysis of the various mergers and acquisitions that have taken place in this domain, highlighting the trend in the number of companies acquired between 2014-2018, based on parameters, such as year of acquisition, type of acquisition, geographical location of the acquirer and the acquired company, key value drivers, and financial details of the deal (if available). The analysis also features an ownership change matrix, providing insights on the involvement of private and public sector entities in this domain. In addition, the chapter evaluates the deal multiples of acquisitions specifically focused on bone cement delivery systems, analyzing them based on a number of parameters, namely annual revenues, number of employees and the experience of the acquired company. Moreover, it presents a schematic world map representation of the geographical distribution of this activity, highlighting inter- and intracontinental deals. An in-depth analysis of the various patents that have been filed / granted related to bone cement delivery systems since 1976. The analysis also highlights the key parameters associated with the patents, including information on patent type (granted patents, patent applications and others), publication year, CPC classification, emerging focus areas (in terms of number of patents filed / granted), type of surgical procedures (arthroplasty, kyphoplasty and vertebroplasty), industry type and leading industry / non-industry players (in terms of size of intellectual property portfolio). It also features a valuation analysis taking into consideration older patents, which have expired, highlighting the upcoming opportunity for generic product developers and manufacturers in this domain. A comprehensive clinical trial analysis of completed, ongoing and planned studies of different types of bone cements and associated delivery systems for various surgical procedures. For the purpose of this analysis, we considered the clinical studies that started in 1997, and analyzed them on the basis of various parameters, such as trial registration year, current trial status, current trial phase, study design, type of surgical procedure, study focus, leading industry and non-industry players, regional distribution, and enrolled patient population across different geographies. In addition, it features an insightful clinical end-points analysis of ongoing and planned studies. A detailed study on the various grants that have been awarded to research institutes conducting projects related to different types of bone cements, between 2010 and 2018. The analysis highlights various important parameters associated with grants, such as year of award, support period, amount awarded, type of surgical procedures, grant type, responsible study section, focus area and type of bone cements. An analysis to estimate the likely demand for bone cement delivery systems across key surgical procedures, including kyphoplasty, vertebroplasty, hip arthroplasty and knee arthroplasty, in different global regions for the period 2019-2030. One of the key objectives of the report was to estimate the existing market size and potential growth opportunities for bone cement delivery systems over the coming decade. Based on several parameters, such as prices of systems, surgical procedure / region specific adoption trends, and competitive landscape, we have provided an informed estimate on the likely evolution of the market, over the period 2019-2030. The report provides sales forecasts for the overall bone cement delivery systems market with the current and upcoming opportunity segmented across [A] surgical procedure(s) (hip arthroplasty, knee arthroplasty, kyphoplasty and vertebroplasty), [B] type of end-user(s) (ambulatory surgery centers, hospitals and specialty clinics), and [C] key geographies (North America (the US, Canada and Mexico), Europe (EU5 countries), Asia-Pacific and Rest of the World (Australia, China, India, and Japan)). In order to account for future uncertainties and to add robustness to our model, we have provided three market forecast scenarios, namely conservative, base and optimistic scenarios, representing different tracks of the industry’s growth. The opinions and insights presented in this study were also influenced by discussions conducted with multiple stakeholders in this domain. The report features detailed transcripts of interviews held with the following individuals (in alphabetical order of organization names): Soren Toksvig-Larsen (Associate Professor, Department of Orthopedics, Lund University) John Williams (Director of Musculoskeletal and Renal Biology Programs, Division of Aging Biology, National Institutes of Health) Francesco De Paola (International Product Manager, Medacta International) Ana Bettencourt (Associate Professor, University of Lisbon) All actual figures have been sourced and analyzed from publicly available information forums and primary research discussions. Financial figures mentioned in this report are in USD, unless otherwise specified. Chronic clinical conditions, such as diabetes, cardiovascular disorders, neurological disorders, autoimmune disorders and various types of cancer, are considered to be among the leading causes of death and disability across the world. Recently, the Center for Managing Chronic Disease at the University of Michigan reported that over 50% of the global population is currently suffering from some form of chronic disease. The past few years have witnessed ground breaking advances in the process of drug development and introduction of several innovative pharmaceutical interventions for the treatment of a number of chronic diseases. However, majority of the available treatment options require parenteral administration, frequent dosing, involve repeated hospital visits and are associated with multiple other concerns, such as dosing and medication errors, risk of microbial contamination and needlestick injuries. These challenges represent a substantial threat to medication adherence and, thereby, are likely to significantly impact therapeutic outcomes. 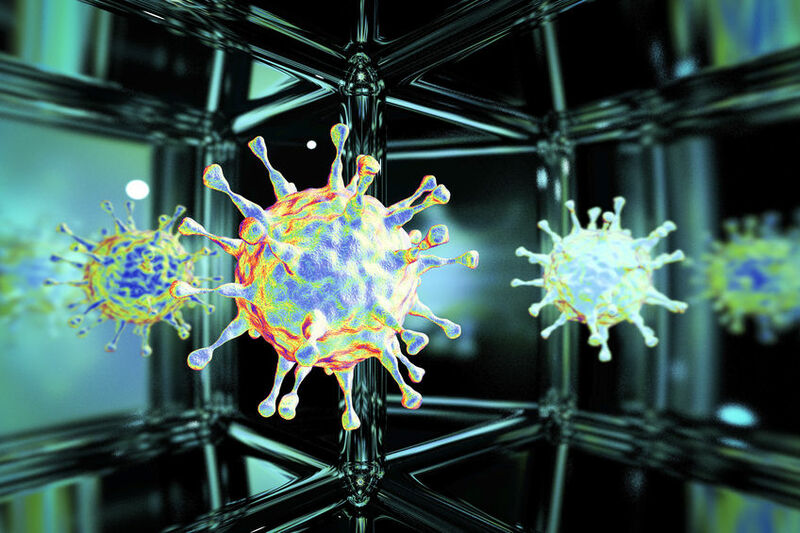 Over the past few years, a number of companies have developed advanced therapeutic delivery solutions to alleviate the pressing concerns associated with the administration of both conventional and novel drug / therapy molecules. Amongst modern drug delivery practices, the concept of self-injection has facilitated advanced medications to be administered beyond the clinical setting. This has also served to reduce healthcare costs, improve therapy adherence and optimize the utilization of healthcare resources per treatment. The self-injection devices market is currently characterized by the presence of a myriad of advanced and innovative drug delivery solutions, equipped with a variety of user-friendly features. Notable examples of such products include prefilled syringes, reusable and disposable pen injectors, autoinjectors and large volume wearable injectors. Large volume wearable injectors are capable of drug delivery primarily via the subcutaneous route and have become a preferred choice for administration of drugs in the home-care setting. Variants of these wearable devices have been designed to administer highly viscous drugs (such as most biologics) in large volumes (more than 1 ml), offering numerous benefits, such as ease-of-use, reduced chances of dosing-related errors, integrated safety mechanisms, and an almost negligible risk of needlestick injuries. It is worth highlighting that such devices have captured the interest of several stakeholders in this industry to deliver various insulin and non-insulin drugs. Moreover, the field is witnessing emergence of other technological advancements, such as integrated mobile applications with smart health monitoring and other interesting features (such as provisions for reminders, and the ability to connect to web-based portals for sharing medical data with the concerned healthcare providers), visual / audible drug delivery confirmation notifications, automatic drug reconstitution, and error alerts. Scope of the Report The “Large Volume Wearable Injectors Market (4th Edition), 2018-2030” report features an extensive study of the current market landscape and the likely future evolution of self-injection devices, over the next twelve years. It specifically lays emphasis on the emergence of patient-centric, convenient, cost-effective and user-friendly wearable drug delivery solutions that are capable of administering large volumes of a drug subcutaneously, in the home-care setting. 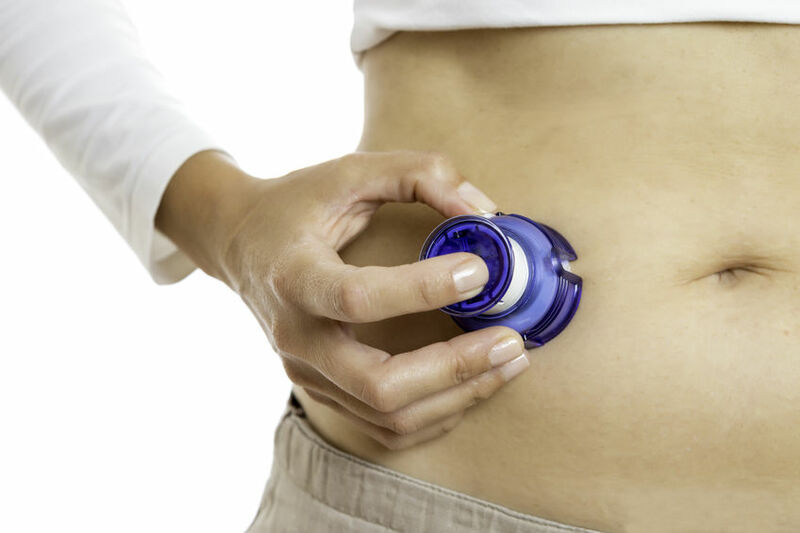 Amongst other elements, the report includes: A detailed review of the overall landscape of the large volume wearable injectors market, highlighting the contributions of industry players related to the delivery of both insulin and non-insulin drugs, along with key device specifications. It features information on current development status of various products (under development and commercialized), type of device (patch pump / injector and infusion pump / injector), type of dose administered (continuous and bolus), route of administration (subcutaneous and others), usability (disposable and reusable), mechanism of action (driving force), mode of injection (needle, needle / cannula and needle / catheter), maximum volume of the device and availability of connected mobile application. A comprehensive product competitiveness analysis of all large volume wearable injectors that we came across, taking into consideration the supplier power (based on the year of establishment) and product specifications, such as type of device, type of dose, maximum volume of the device, usability, allowed route of administration, connectivity with the mobile application and availability of an integrated continuous glucose monitoring / blood glucose monitoring (CGM / BGM) system in case of insulin devices. Elaborate profiles of prominent product developers engaged in this domain, featuring a brief overview of the company, its financial information (if available), information on its product portfolio, recent developments and a comprehensive future outlook. Additionally, the report includes tabulated profiles of wearable drug device combination products. An in-depth analysis of the various patents that have been submitted / filed related to large volume wearable injectors, since 1984. It also highlights the key parameters associated with the patents, including information on patent type, patent offices, CPC classification, emerging areas (in terms of number of patents filed / granted) and leading industry players (in terms of size of intellectual property portfolio). A social media analysis depicting prevalent and emerging trends, and the popularity of large volume wearable injectors, as observed on the social media platform, Twitter. The analysis was based on tweets posted on the platform from 2013 to 2018 (till September). A comprehensive clinical trial analysis of completed, ongoing and planned studies of various large volume wearable injector products. For the purpose of this analysis, we considered the clinical studies that started in 2010, and analyzed them on the basis of various parameters, such as trial start year, current trail status, current trial phase, study design, targeted therapeutic area, study focus and clinical outcomes. A case study on the role of contract manufacturing organizations in the overall manufacturing process / supply chain of wearable injectors. It includes short descriptions of the manufacturing services provided by contract service providers in the making of various device components (primary containers), infusion sets, adhesives, closures and injection moldings. A list of marketed drugs / therapies and pipeline candidates that are likely to be developed in combination with large volume wearable injectors in the near future, based on an in-depth analysis of potential candidates, taking into consideration multiple parameters, such as stage of development, dosage, dose concentration, route of administration, type of dose and drug sales (in case of marketed drugs). One of the key objectives of the report was to estimate the existing market size and potential future growth opportunities for large volume wearable injectors. Based on parameters, such as the number of commercialized devices, number of devices under development, price of the device and the annual adoption rate, we have provided an informed estimate on the likely evolution of the market over the period 2018-2030. The report also features sales forecasts for the overall large volume wearable injectors market with a detailed market segmentation on the therapeutic area, geographical distribution of the market (North America / Europe / Asia Pacific / RoW), type of device (patch pump / injector and infusion pump / injector) and usability (reusable / disposable). 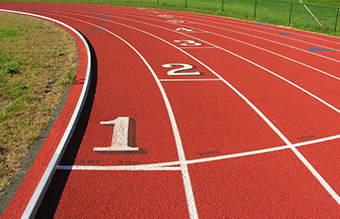 In order to account for future uncertainties and to add robustness to our model, we have provided three market forecast scenarios namely the conservative, base and optimistic scenarios, which represent different tracks of the industry’s evolution. The opinions and insights presented in this study were influenced by discussions conducted with several stakeholders in this domain. The report features detailed transcripts of interviews held with the following individuals (alphabetical order of companies): Menachem Zucker (VP and Chief Scientist, Elcam Medical) Michael Hooven (CEO, Enable Injections) Mark Banister (CEO, Medipacs) Pieter Muntendam (President and CEO, scPharmaceuticals) Mindy Katz (Director of Product, Sorrel Medical) Jesper Roested (CEO, Subcuject) Graham Reynolds (VP and GM, Biologics, West Pharmaceutical Services) Tiffany H. Burke (Director, Global Communications, West Pharmaceutical Services) All actual figures have been sourced and analyzed from publicly available information forums and primary research discussions. Financial figures mentioned in this report are in USD, unless otherwise specified. Cancer is known to be one of the leading causes of death worldwide, accounting for 0.6 million deaths in 2017 in the US alone. The World Health Organization states that the number of new cancer cases globally is expected to rise by 70% in the coming 20 years. Although cancer therapeutics continue to be one of the most active areas in terms of drug development, there is still a significant unmet need in this domain. Conventional cancer treatments, such as chemotherapy, surgery and radiation therapy, have demonstrated very limited efficacy in late-stage cancers. Specifically, chemotherapy and radiation therapy are also associated with several side effects. Their non-specific nature has severe detrimental effects on the patients’ quality of life. 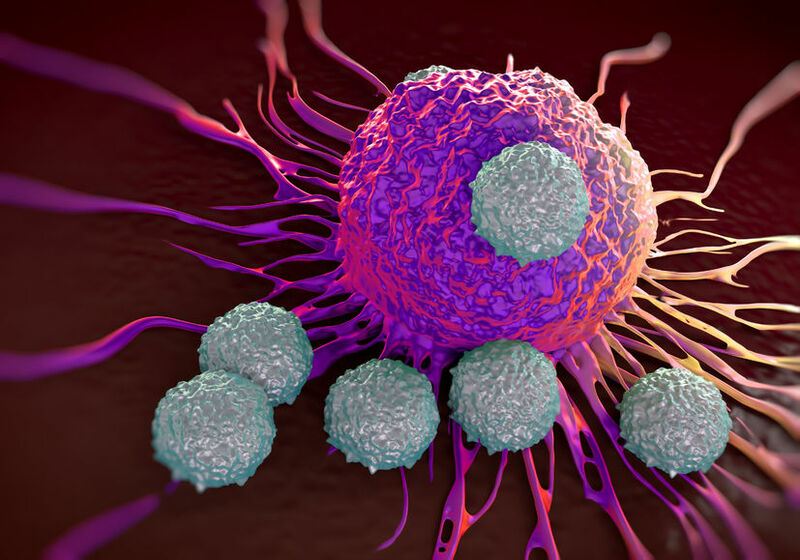 Amidst the current initiatives to develop more targeted anti-cancer therapies, immunotherapy has emerged as a highly potent option to eradicate tumor cells with minimal side effects. It is based on the principle of harnessing the innate potential of the immune system to target and destroy diseased cells. It encompasses several treatment approaches, such as monoclonal antibodies, immune checkpoint inhibitors, therapeutic vaccines, cytokine therapies and cell-based therapies. In recent years, adoptive T-cell therapy (ACT) has emerged as a potent and viable therapeutic intervention. There are certain key characteristics that render T-cells suitable for use as effective therapeutic tools; these include target specificity, adaptability and the capability to retain immunologic memory. Close to 120 academic and research institutes across the globe have made significant contributions to this field, mostly by convening the initial research on potential product candidates. These efforts have built the intellectual framework for the establishment of several start-ups; in fact, during the last five years, over USD 8 billion has been invested by VC firms / other strategic investors. It is also worth highlighting that there have been more than 200 instances of collaborations between industry / academic stakeholders. The ongoing innovation has also led to the discovery of several novel molecular targets, strengthening the research pipelines of various companies engaged in this domain. Encouraged by the recent approval of two CAR-T therapies, namely Kymriah® (Novartis) and Yescarta® (Gilead Sciences), and a robust development pipeline, the T-cell immunotherapy market offers considerable promise to a number of industry stakeholders. Scope of the Report The “T-Cell Immunotherapy Market, 2018-2030 (3rd edition)” report features an extensive study of the current market landscape and the future potential of T-cell immunotherapies (focusing particularly on CAR-T therapies, TCR therapies and TIL therapies). One of the key objectives of the study was to review and quantify the future opportunities associated with the ongoing development programs of both small and big pharmaceutical firms. Amongst other elements, the report features the following: An analysis depicting prevalent and emerging trends related to T-cell immunotherapies as observed on the social media platform, Twitter. In addition to the yearly chatter trends, the analysis highlights the most frequently talked about product candidates. A detailed assessment of the current market landscape of T-cell immunotherapies with respect to type of therapies, type of developer (industry / non-industry), phase of development, target therapeutic indications, key target antigens, source of T-cells (autologous and allogenic), and route of administration. In addition, we have provided an overview of the competitive landscape, key challenges and anticipated future trends associated with T-cell based therapies. Comprehensive profiles of marketed and mid to late stage clinical products (phase I/II or above); each profile features an overview of the therapy, its mechanism of action, dosage information, details on the cost and sales information (wherever available), clinical development plan, and key clinical trial results. An analysis of the CAR constructs of clinical CAR-T therapies based on generation of CAR-T therapy (first generation, second generation, third generation and fourth generation), type of binding domain (murine, humanized, fully human and rabbit derived), type of vector and type of co-stimulatory domain used. An analysis of the global CAR-T clinical trials registered between 2009 and 2018, highlighting the year wise trend and the distribution across different geographies. An overview of the various focus therapeutic areas of therapy developers, including an assessment of the opportunity offered by oncological and non-oncological disease indications. A detailed discussion on innovative technology platforms that are being used for the development of T-cell therapies, along with profiles of key technology providers. An analysis of the partnerships that have been established in the recent past, covering R&D collaborations, license agreements (specific to technology platforms and product candidates), product development and commercialization agreements, manufacturing agreements, clinical trial collaborations, product supply management agreements and others. An analysis of the investments that have been made into companies that have proprietary products / technologies, including seed financing, venture capital financing, capital raised from IPOs and subsequent offerings, grants and debt financing. A case study on other T-cell based therapies, apart from CAR-Ts, TCRs and TILs. It presents a detailed analysis of the approved / pipeline products in this domain, including information on the current phase of development, target therapeutic areas, type of T-cells used, and source of T-cells. A case study on manufacturing cell therapy products, highlighting the key challenges, and a list of contract service providers and in-house manufacturers that are involved in this space. An elaborate discussion on various factors that form the basis for the pricing of cell-based therapies. It features different models / approaches that a pharmaceutical company may choose to adopt to decide the price of a T-cell based immunotherapy that is likely to be marketed in the coming years. A review of the key promotional strategies that have been adopted by the developers of the marketed T-cell therapies, namely Kymriah and Yescarta. One of the key objectives of the report was to understand the primary growth drivers and estimate the future size of the market. Based on parameters, such as target consumer segments, likely adoption rates and expected pricing, we have provided an informed estimate on the likely evolution of the market in the short to mid-term and long term, for the period 2018-2030. The report includes potential sales of T-cell immunotherapies that are currently marketed or are in late stages of development. Additionally, the chapter presents a detailed market segmentation on the basis of type of therapy (CAR-T, TCR and TIL), geography (North America, Europe and Asia Pacific) and target indications (acute lymphoblastic leukemia, acute myeloid leukemia, bladder cancer, cervical carcinoma, chronic lymphocytic leukemia, esophageal cancer, head and neck cancer, multiple myeloma, hepatocellular carcinoma, melanoma, non-Hodgkin’s lymphoma, non-small cell lung cancer, ovarian cancer and synovial sarcoma). To account for the uncertainties associated with the development of these novel therapies and to add robustness to our model, we have provided three forecast scenarios, portraying the conservative, base and optimistic tracks of the market’s evolution. The opinions and insights presented in this study were influenced by discussions conducted with several key players in this domain. The report features detailed transcripts of interviews held with the following individuals: Adrian Bot (Vice President, Scientific Affairs, Kite Pharma) Aino Kalervo (Competitive Intelligence Manager, Strategy & Business Development, Theravectys) Brian Dattilo (Manager of Business Development, Waisman Biomanufacturing) Enkhtsetseg Purev (Assistant Professor of Medicine, University of Colorado) Miguel Forte (Chief Operating Officer, TxCell) Peter Ho (Director, Process Development, Iovance Biotherapeutics) Tim Oldham (Chief Executive Officer, Cell Therapies) Victor Lietao Li (Co-Founder and Chief Executive Officer, Lion TCR) Vincent Brichard (Vice President, Immuno-Oncology, Celyad) Xian-Bao Zhan (Professor of Medicine and Director, Department of Oncology, Changhai Hospital). All actual figures have been sourced and analyzed from publicly available information forums and primary research discussions. Financial figures mentioned in this report are in USD, unless otherwise specified.